The American dream-rock, shoegaze-influenced band with Chilean roots will rock your world with its expansive, atmospheric, propulsive, and enthralling music. When was the last time you were blown away by a band’s sound? When was the last time that you stumbled upon a song that you wanted to crank up to the max? When was the last time you discovered a band that rocked your world and made you realize the infinite possibilities that can exist in music? 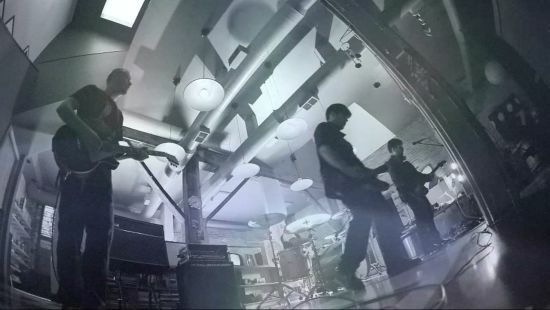 If you’re already familiar with DulceSky, the American dream-rock, shoegaze-influenced band with Chilean roots, then you know that this is the band that accomplishes all of the above! DulceSky’s epic songs envelop the listener in an expansive and enthralling, densely-textured atmosphere where the wall-of-sound sonics are ignited by gritty to ringing guitar turmoil, emphatically bashed drums, and majestic cymbal crash and soothed by serene, mellifluous male vocals. Long after the electro-pop beats fade, the rehashed alt-rock abates, and the flash-in-the-pan entertainers step away from the popular spotlight, DulceSky’s distinctive, dynamic, melodic dream-rock sound will remain like a recurrent refrain. In an endless parade of what’s hot ‘n’ hyped, this long-running band stands out from the superficial crowd, staying true to its vision of creating sonically-involving, lyrically thought-provoking, memorable music that stands the test of time and its passing stylistic fads. 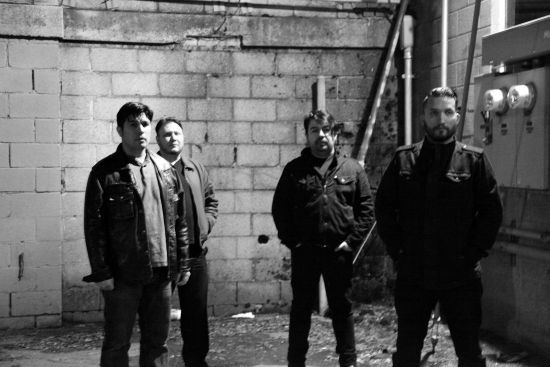 DulceSky has been steadily and surely building up an accomplished discography and devoted following since its inception in 2002 by founder and frontman Oliver Valenzuela. The music of DulceSky transports the listener to the sweeping skies above with glorious guitar lines from Oliver and Brett Kocherhans and plunges into the deep oceans below with vibrant bass from Oliver’s brother Daniel Valenzuela and kinetic drum-work from Mitchell Razon. Oliver sings in a lush, contemplative tone that contrasts with and provides a respite from the restless guitar and drum frisson. The journey towards the formation of DulceSky started in the cosmopolitan city of Santiago, Chile, where Oliver and Daniel grew up. When Oliver first heard bands like Ride, Catherine Wheel, The Church, and The Cure in the early1990s, he was blown away by their massive, guitar-driven sound and he knew he had to create music that had the same dramatic and captivating effect. It would take a few more years, a move to the U.S., learning the English language, and collaborating with other musicians before Oliver could realize his dream of developing his living-room four-track demo project named DulceSky into a full-fledged band. Oliver’s family, including his brother Daniel, settled in Salt Lake City, Utah in 1995 and a year later Oliver followed their path. In 2002 Oliver convinced Daniel to switch from playing guitar to playing bass for their new band DulceSky. Through the band’s hybrid name, Oliver has symbolically kept hold of their Chilean heritage, with ‘dulce’, which means ‘sweet’ in Spanish, co-existing with the English word ‘sky’. This fusion can be found in the sounds of DulceSky too, through the melding of fiery guitar agitation and propulsive drumming with the calm, rich vocal intonations. Towards the end of 2002, Oliver and Daniel signed with Eden’s Watchtower Records as DulceSky and started production on their debut EP, “Film”. Oliver’s wife Dannika was recruited to play keyboards, rhythm guitar, and backing vocals and Stefano Ashbridge played drums during the recording process. The engaging “Film” EP was released in April 2003 and the band played its first out of state shows in Idaho and Los Angeles. Fellow Chilean Mitchell Razon, who had been a fan of the band, and then a friend, signed on as DulceSky’s drummer and became a very fundamental part of its sound. DulceSky garnered international notice with the August 2004 release of its impressive second EP “Media-Luna/Half-Moon”. Continuing the cultural union between Chile and the U.S., the EP contains two versions of one song; the English “Half-Moon” take and the Spanish “Media-Luna” version. The band members seized the opportunity to open for Vast, Of Montreal, and The Delgados that year and they toured the West Coast in October, hitting the cities of Boise, Portland, San Francisco, and Los Angeles, building up their fanbase with their magnetic and energetic performances. U.K.’s Shifty Disco, which was owned by Ride’s manager Dave Newton, picked “Half-Moon” for the label’s Singles Club. At Mitchell’s astute insistence, DulceSky formed a fruitful partnership with producer Matt Winegar (Primus, Faith No More, Coheed and Cambria), and most of 2005 was spent in the studio preparing the groundwork for what would become debut album “Lands”. 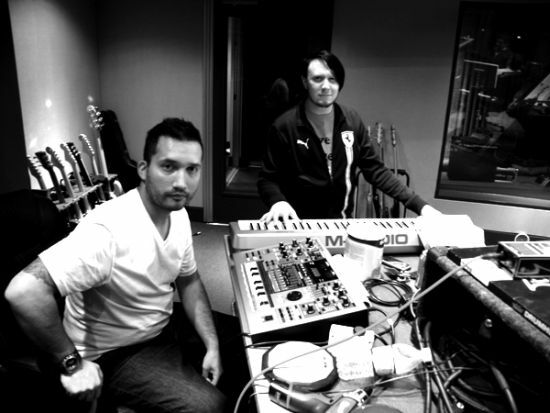 The collaboration with Matt was very focused and productive as he helped DulceSky to fulfill its sonic ambitions. The band culled some songs from the previous two EPs, reworking them for “Lands”, and also created several new songs in the studio. During this time period Dannika left the band to care for her and Oliver’s children and Leigh Hendrickson was invited to join on keyboards and backing vocals. In April 2006 “Lands” was released on Eden’s Watchtower Records to great acclaim by many reviewers, scoring mentions on several Top 10 and Top 20 lists on the college radio circuit. Jack Rabid (The Big Takeover magazine) chose “Lands” of one of his Top 40 albums that year and declared "Keep Coming Around" his Shoegaze Song of the Year. DulceSky continued to receive international coverage including "Infinite Galaxy Eyes" being played on BBC's Radio 1. The songs on “Lands” mesmerize with stormy drum tempos and an undercurrent of guitar and electronic noise, like the crashing of ocean waves and fast-receding tides. The dreamy, yet melancholic vocals fit perfectly with the insightful lyrical themes that include nostalgia, geographical and emotional transitions, and the ephemeral nature of life. The band promoted “Lands” with a tour of the West Coast, playing many regional shows and highlight gigs in Los Angeles and San Francisco. After the departure of Leigh later that year, the other band members decided to continue as a trio until they found the right fourth member. They continued to play a few local shows in 2007, culminating in a trip to Seattle to play the mythic Comet Tavern. Oliver, Daniel, and Mitchell were invited to contribute a cover song to a Ride tribute album and they accepted, choosing “Unfamiliar” from Ride’s “Today Forever” EP. DulceSky’s cover of this song brings out its churning, urgent tone and tops it with a rich, nuanced vocal delivery. Professional highs and lows marked 2007 as the band members decided to part ways with Eden Watchtower Records and form their own label, Nueve Music, to release their output. When the Ride compilation project ended up falling through, the trio stoically soldiered on, going back into the studio with Matt Winegar to record three original songs to accompany their Ride cover. DulceSky released the “Unfamiliar” EP in 2008, doing a few promotional performances and TV appearances before jumping right back into the studio to lay down the foundation for a follow-up album. Later that year, an American friend of the band, Brett Kocherhans, was drafted to join DulceSky on guitars and keyboards. Brett had spent a good deal of time in Chile and he brought a vast musical talent in guitar to the band, especially regarding technical help in the studio and with the gear itself. While the band members adjusted to quartet-status, they also gathered demo songs and rare tunes for their compilation album, "Loose Tracks Vol. I (1998 - 2008)”, which was released in 2009. 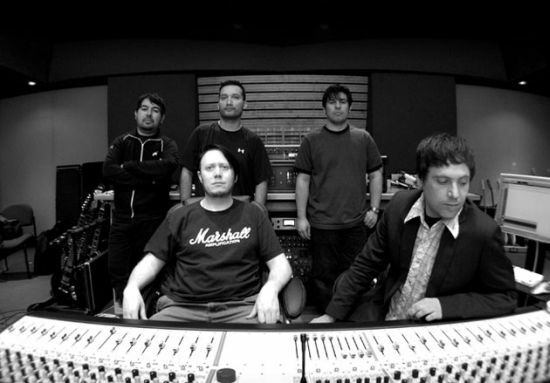 The newly-solidified line-up continued to spend most of 2009 in the studio with Matt Winegar, recording what would become second album "Invisible Empire". Amid great excitement about the results of the album and with promotional preparations geared to a higher level than with “Lands”, the band released “Invisible Empire” in December 2010 on Nueve Music. The album was well-received by reviewers and gained media attention including reviews at Slug magazine and Delusions Of Adequacy. “Invisible Empire” is an ambitious concept album rife with incisive, relevant lyrics and edgy, hard-rock guitars. The guitar lines rise and buzz sharply, driven by high-powered drumming and bass undertow. Oliver sings in a meditative, but compelling tone about the dangers of this information age, where the individual is shaped by the ones who are in control. 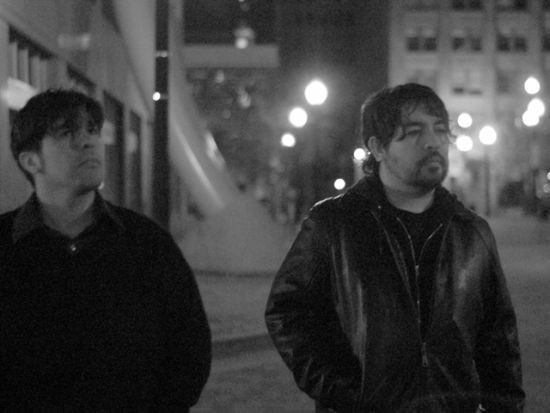 In early 2012 DulceSky released an official video for the message-centered “Life As We Knew” and in October the quartet traveled to Chile to play a couple of shows, receiving a warm welcome in their home country. Upon the band members’ return to the U.S., however, various familial responsibilities came to the fore and they decided to put the band on the backburner for the rest of the year. The guys reunited in 2013 to record two songs that they had been playing live for a while, “Soul Vampire” and “Desigual” (‘unequal’ in Spanish), and to play a smattering of shows. The beginning of 2014 saw the band members go on hiatus again as personal obligations and other distractions took center stage in their lives. Despite this setback, Oliver was determined to continue writing and recording music because he couldn’t just *not* do it. He set up a home studio he dubbed Sub Space and recorded two new songs, the tellingly-titled “Awake and Arise” and “Don’t Ever Fade”. Oliver had to endure the loss of his bandmates and their collaborative process, but he persevered undeterred. He has always been at the core of DulceSky; the man with the dream to form a band and create music. He had the passion to bring it to life and he’s in it for the long haul. So he released the tuneful single “Soul Vampire” in March 2014 and coaxed Daniel back into the fold to record bass for “Don’t Ever Fade”. In October of that year the “Awake and Arise” EP was released and Shawn McWhorter, who had played drums right before Mitchell joined the band in 2003, was enlisted to play at the EP release show in Seattle. This new line-up didn't last long however, and the realization hit that DulceSky was only DulceSky with the four members that solidify the band’s signature sound - Oliver, Daniel, Mitchell, and Brett. At the end of 2014 Oliver visited Mitchell at the musical instrument shop where he was working after months without seeing him. They rekindled their friendship, but also made a pact to work on DulceSky music again - which would include, of course, all four members of the band. With a renewed sense of purpose, a reawakening if you will, the members of DulceSky have emerged stronger than before, looking forward to the future and the infinite possibilities that can exist in their music. First up on the band’s To Do List is to finalize and sequence a Best Of compilation album titled “Spies of the System: 03 – 14”, tentatively scheduled for release in early April 2015. The retrospective collection spotlights the best songs from DulceSky’s musical history to captivate the band’s fans and new listeners alike. A new DulceSky album is also in the works and slated for release in the second half of the year.